I woke up early after a beautiful dream where my maternal grandmother, my guiding light in #spirit spoke to me, held me near and sent me so much love that I was tingling when I woke up. At the very end, she wrote some numbers on my hand and as I was waking up, saw “682”. I knew instantly it was Angel numbers as I have been given these numbers in the same order before. 682 predominantly reminds us to keep the faith with regards to abundance and to keep doing what we are doing, basically reconfirming that we are on the right path. “Angel Number 682 may also indicate that it is time for you to consider beginning a spiritually-based profession, practice and/or career, or a venture that aids and assists others. Use your strengths and talents to uplift and enlighten others through serving humanity in compassionate and loving ways. Your soul mission is a sacred labour that you undertake for the betterment of yourself and others”. My life purpose has always been about helping others in whatever way possible. My grandmother was my inspiration. A psychic, healer and one of the most charitable people i know. My mother used to say that she grew up seeing her mother give away clothes, money and several times, food even if she had to go without. My inner satnav led me to what I do now and even though it can be challenging at times, I have absolutely no regrets because I am happy! It also allows me to contribute my time to charities and support causes. The last time I felt I was making a difference was when I was a journalist (a few year and a bit now) and able to affect lives, instigate change and even bring clarity with my stories. These days I can do it by the natural abilities that lay dormant for many years until I was ready. Nothing makes my heart sing more than hearing from the lovely people I have read for or seen for healing, that they feel better, things have shifted, that they felt uplifted after hearing from their loved ones in Spirit. 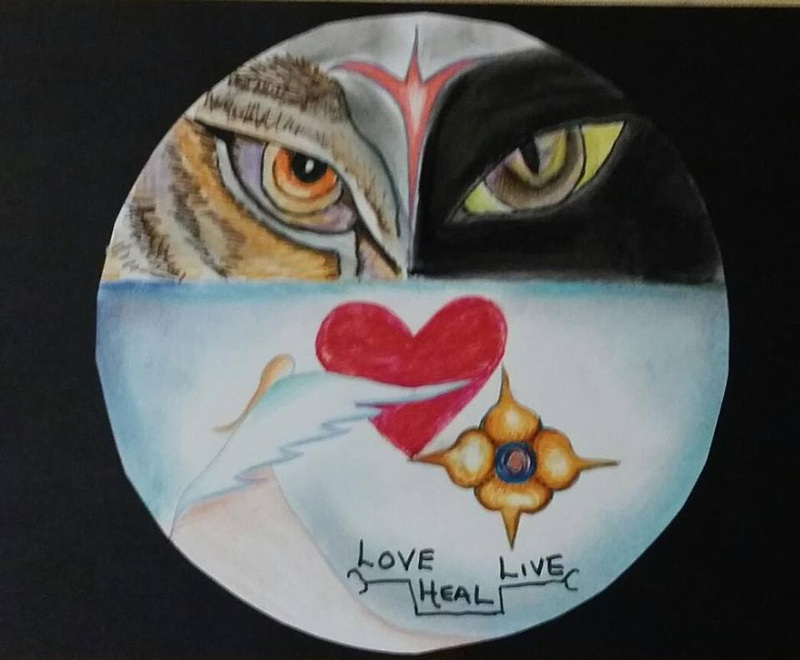 I also felt the confirmation that the “betterment of others” relates to my workshops which has helped a number of people get started on their journey to spiritual self discovery. My students feedback how they are doing and it makes me feel so proud. Such a lovely message of reassurance from my grandma or Ammai as we call her especially on my husband’s birthday today. I am grateful that my work is so flexible these days that I could take a few hours off to pamper my husband with a three course meal and presents. There are certain times in the year when the universe opens a door to release such a force of energy which allows for transformation, for us to “let go” of the old and bring in the “new”, The most common and known time is the days before, during and after a full moon and even more during supermoons. The energy that allows us to manifest our heart’s desire is amplified. Full moons are the perfect time to keep your thoughts positive and to think about what you truly need to make your life better. It may be more abundance in the form of money, happiness, a new house or a promotion, baby or a new partner. Put your heart into it and you will be surprised at what you get back. Keep the faith as at times, the small things appear in your life first to make way for the big ones. How they happen is up to the universe. You have probably heard and read about “wish lists” “Intentions” “letter to the universe” and wondered two things – and wondered “what the heck are people talking about? and, “how do I go about doing it? I used to make a wish on full moon nights way before I heard of wishlists and cosmic ordering. As a child growing up in Malaysia to a Hindu mother and a Roman Catholic father, I was exposed to superstitions, traditions and myths from both religions and cultures from a young age. Astrology and the phases of the moon feature largely in Hinduism and all good events – weddings, buying a house or making decisions are often done after consulting an astrologist for the perfect date and time. I have always felt the energy of the moon and the universe as a child and I loved watching the night sky. There was something very magical and like most of all, a clear, crisp view of the glowing energy of the mysterious moon made me feel like I was as close as I could be to the heavens. The following is what I do and believe in. You will have plenty of different opinions and ways to do things. There is really no right or wrongs here. So take what you like and leave what you don’t. Call it what you will but it is simply, a list of what you would like to happen in your life. The top five things you feel you need to live a happy, comfortable and full life. Do it before you go to sleep the night before the full moon. Make it positive and also put in your gratitude for what you have. Try to be positive and be grateful for what you have as well. Would you continue to help someone who is arrogant, spiteful, demanding, negative, ungrateful or rude? Not many people would! So be careful of how you word it. You can be as descriptive and exact as you would like. Relationship – I would like to meet a kind, caring and secure man. Must have permanent job with own money and independence, must own his house, have enough money to not worry about it. Love travelling and likes watersports. Someone who is positive and energetic. Must get along with my family. Someone who enjoys walking in the woods and likes my cooking. Work – I would like a new job with a more leadership role. Location – maximum 45mins from my home. Salary must be above £50.000 and have a good work culture. I would like a role that allows me to work from home at least one day a week. I would like change jobs by December. Leave it on your altar or on your window which is likely to get the full rays of the moon the night before the full moon. If you have crystals then please put it on top of your note. Get your family especially your children to write their list as well. It is a great way for them to focus on their priorities and learn more about energy and manifesting. Go out and look at the moon. 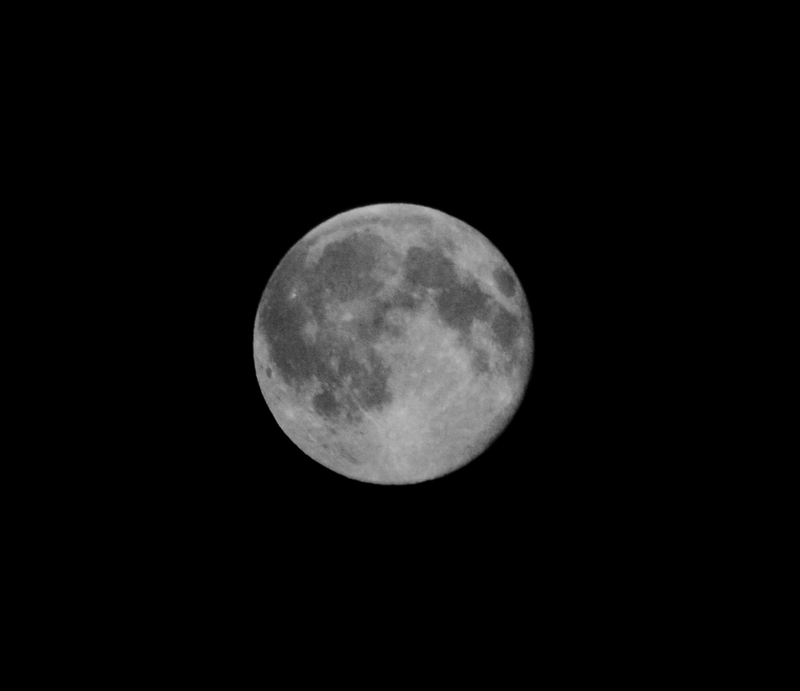 Doesn’t matter if it is cloudy or if you can’t see it from your garden or front of the house. Its there and its energy will reach you. Ask for help, guidance and feel the energy from the moon’s healing light. Wishlist: Get a clean flower pot or something fire proof to burn the papers in. You can throw in some lose sage leaves in the fire before setting your wishlists on fire. Do it individually and wait until its fully burnt before the next person burns theirs. Close your eyes and concentrate on what you have asked for. Thank the universe for all that you have and ask for help to manifest the list.Do not speak to each other when you are doing this. Close your eyes and look up to the sky and feel the energy. Pay attention to any thoughts or messages that pop into your mind’s eye. Don’t underestimate the power of the Moon and the universe. Answers and solutions become unlocked during these times. If you can’t burn the wishlist then leave it on the window where the mooon rays will hit or on an altar with the crystals on top. 2. Crystals: Full moons are the best time to energise and clean your crys tals. Put them in a clean transparent bowl. 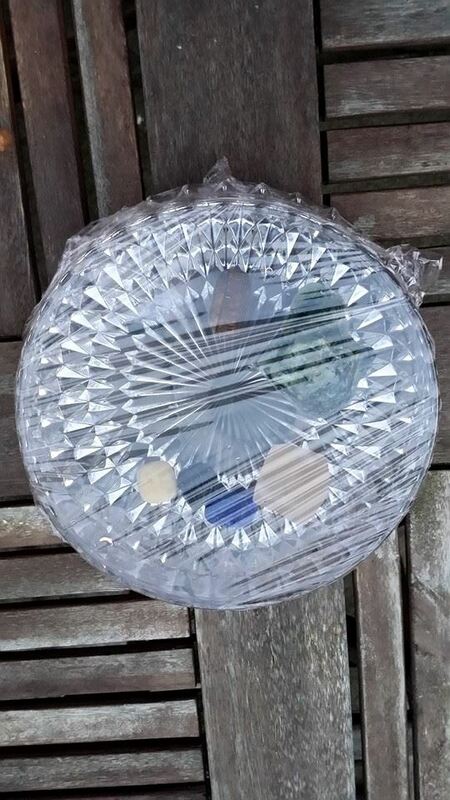 I have a crystal bowl which I use for this purpose but you can use any clear glass bowl or a plastic bag if you can’t find one. 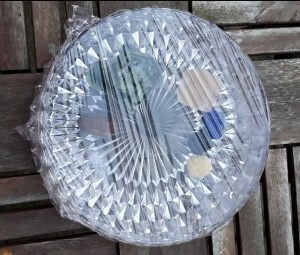 Pour in some cooled down boiled water or mineral water into the bowl and cover with cling film. This protects the crystals from any birds or animals that may get to them during the night. I’ve been doing this for ages and never had a problem. The best way to energise them is to leave them outside but you can also leave them on a window sill if don’t have a garden. Leave them overnight to get the full light of the moon. Bring it in the next day and use the emergised water to water the plants or just wash your face with it. Put your crystals on a paper towel to let them dry out on a table or near the window. They are now fully energised and ready to be used! If you have crystal jewellery then just wash them with the energised water form the other crystals. I am not sure how metals take to being submerged in water. I just give my pendants and rings a little wash with the moon water. 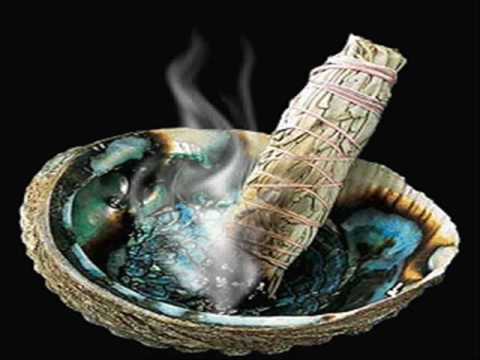 Smudging your house on or before the night of a full moon is to me, is like cleaning your house before you have a party. You want to get rid of the rubbish and make way for a fun event. It is exactly the way I see it. Cleanse your house to renew the energy in your house before you harness the energy of the new moon. Get some good quality Californian white sage, don’t worry if you don’t have anything fancy to put it in. Honestly all I have is a old plate, a medium large shell I found on a beach a while back to rest the sag e on. I have a small candle on it so I don’t have to keep burning my finger on the lighter to keep it alight! (You live and learn!) Begin by asking Archangel Michael to ground and protect you. Ask him to surround you with his healing light. Start at the front of the house and face north. Leave the windows open and if its winter, two – one facing the front drive and the other facing the garden. Walk around the house and try to spread the smoke to each and every corner of the house. Keep a clear and positive mind when you do this. Don’t think about anything. Just focus on the light of the candle if need be to keep your focus. If you feel anything negative surrounding you, then ask it to go to the light. finish by putting fire in the sage out by rubbing it out in the shell or plate. Don’t forget to disable the smoke alarm before you light the sage as the smoke will trigger the alarm! Give it a few hours and then reactivate the alarm again. Better to be safe than to be sorry! Pay attention to the messages that come through your dreams, people, ideas, solutions and synchronistic events in your life. Happy Manifesting! Feel free to share with your family and friends. Do let me know if you found this article useful.